Introducing the CD-545 Portable Stereo Compact Disc Cassette Recorder with AM/FM Radio from JENSEN®. 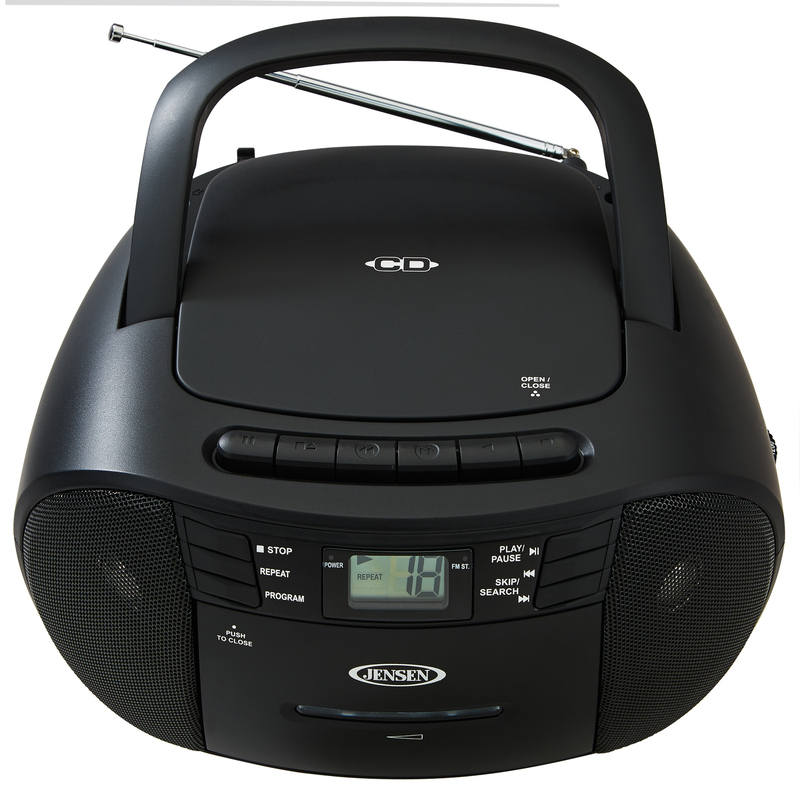 Take along your favorite tunes with a feature-rich CD player that includes both a cassette recorder and an AM/FM stereo radio. 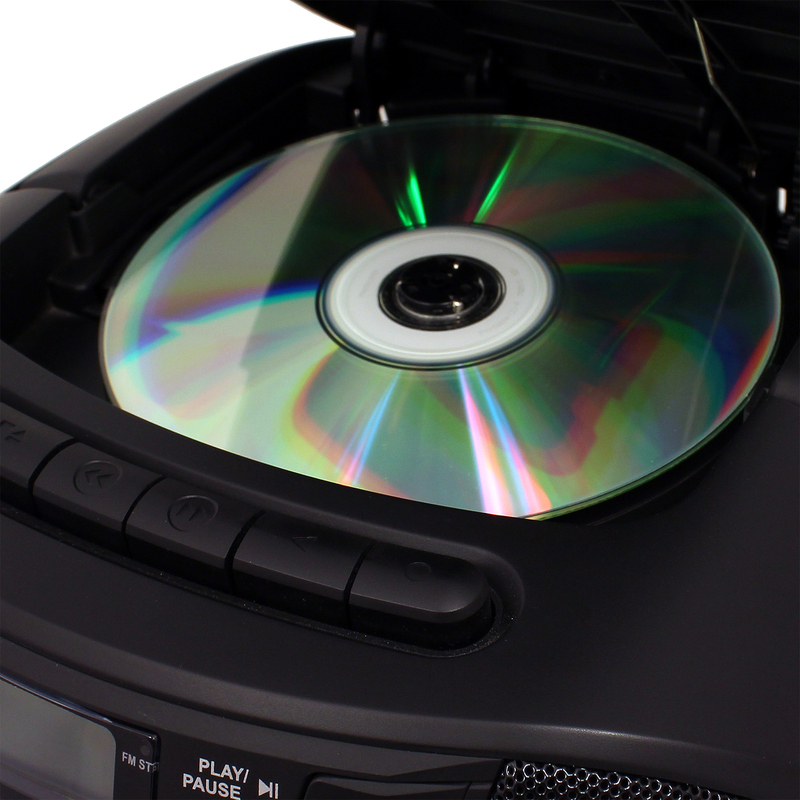 This unit features a top-loading CD player, which is compatible with both CD-R and CD-RW compact discs so it provides versatile playback options for store bought or custom made CDs. 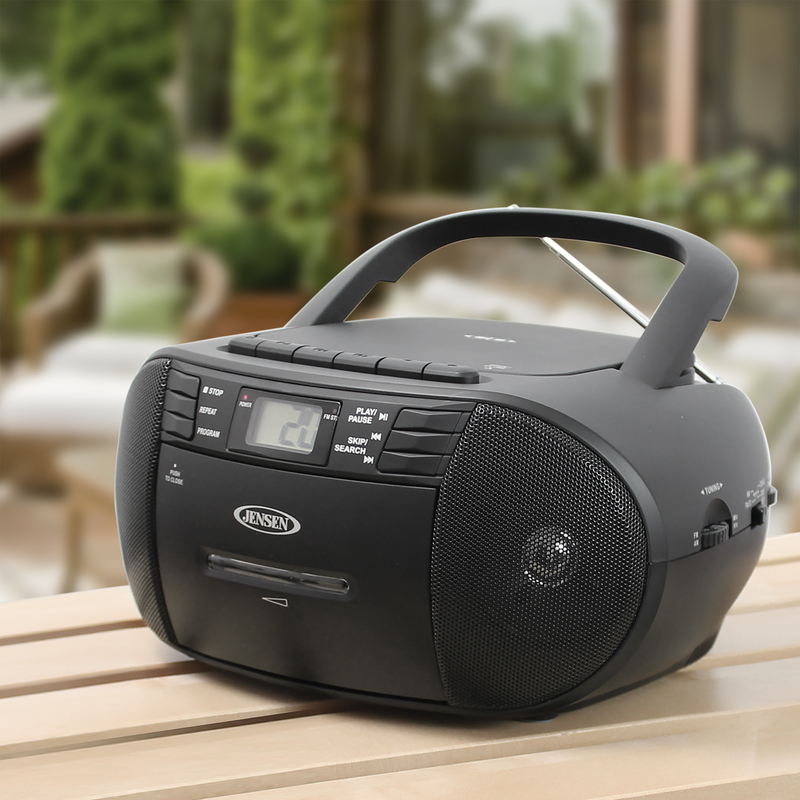 This portable stereo music system has a built-in handle, which is smooth and comfortable for easy transport. 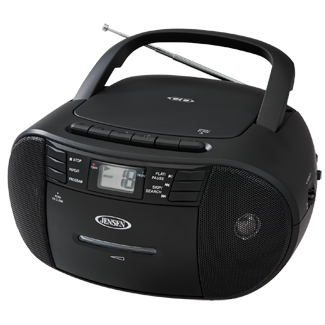 Enjoy making recordings with a simple one-touch function or use the rotary telescopic antenna to get clear AM/FM radio for listening or recording. A stereo headphone jack and auxiliary input jack for connecting your iPod®, MP3, or other digital audio players provide even more functionality. 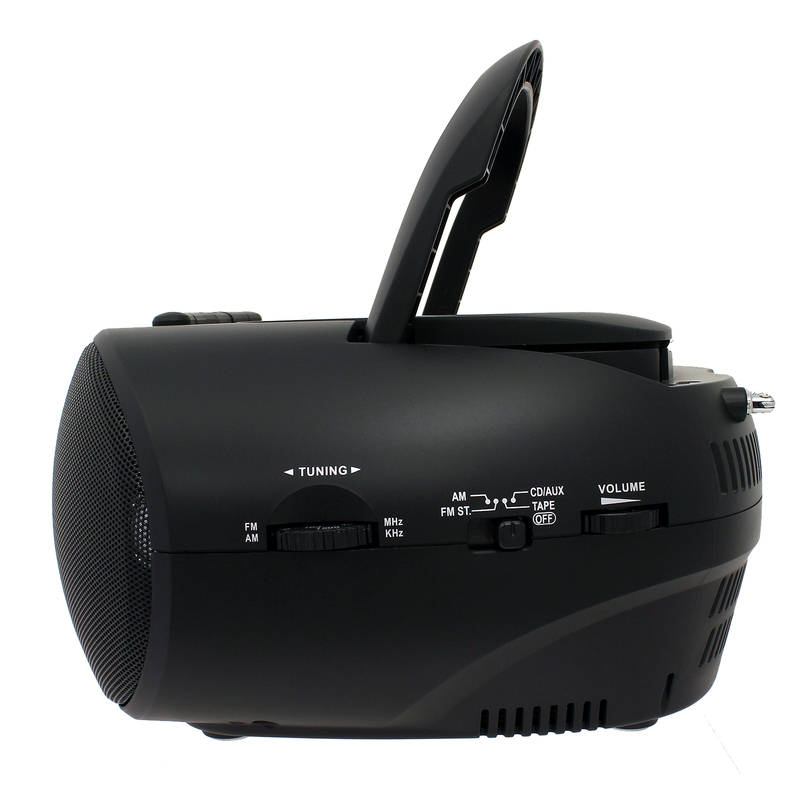 This device uses standard 120VAC/60Hz power or can operate on six (6) C batteries (not included).